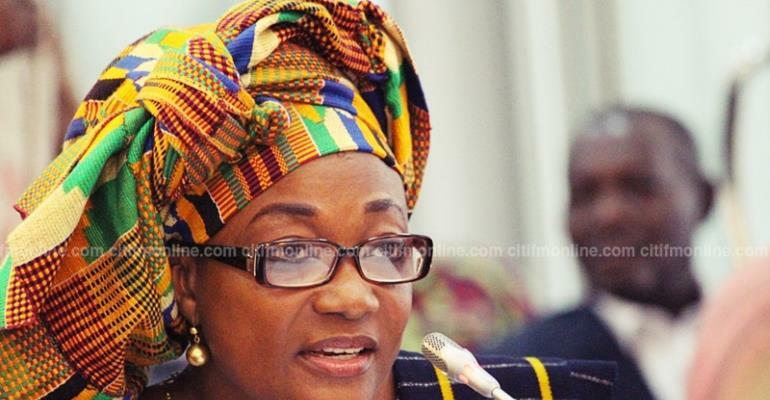 The Minister of Gender, Children and Social Protection, Otiko Afisa Djaba, has filed an application for stay of execution pending appeal of an order by an Accra high court which granted an American couple the chance to travel out of the country with a 4-year-old girl they adopted. The couple, Ethan Michael Ram and Hilary Holt Ram, in February, 2017 secured a ruling by a Koforidua circuit court to adopt the 3-year-old child (name withheld). They were however, denied the opportunity by Madam Otiko Djaba to travel with the child to the USA because the adoption did not go through the statutory processes. Not satisfied with the decision, the couple, through their lawyer, Daniel Opare Asiedu, proceeded to an Accra high court presided over by Justice Justin Kofi Dorgu, which ordered the Gender Minister and the Director of Social Welfare to release the child to the new parents. Ms Otiko Djaba subsequently filed for a stay of execution of that order, against the backdrop that it wanted to appeal the order. The Deputy Attorney General, Godfred Yeboah Dame, moving the application, prayed the court to set aside its initial order, considering the effects it will have in the event that the appeal succeeds. According to him, the couple did not comply with the statutory conditions stated in the Children's Act before the order of Mandamus was granted by the court, which resulted in the order permitting the couple to travel with the child. Mr. Dame indicated that the application for mandamus filed by the couple fell in the realm of the Children's Act as amended by the Children's Amendment Act 2016 (Act 937), and was premature because the application fell in the category of inter-country adoption. Mr. Dame indicated that the court ought to have considered whether all the statutory preconditions were followed before granting the order of mandamus. He therefore, prayed the court to set aside the ruling so that he could file an appeal, adding that if the principle is not applied, the Republic of Ghana, will be denied its statutory role of protecting the interest of children in accordance with Section 2 of the Children's Act. He said the Gender Minister and the Director of the Department of Social Welfare disregarded the order of the court and therefore do not have any capacity to seek any favours from the court. He averred that the state was asking the court to aid them in an illegal act of seizing the child from her adoptive parents, which is against the Constitution. Mr. Asiedu added that the state has nothing to lose if the application is not granted, but the adoptive parents have suffered and continue to suffer as a result of the actions of the state. He therefore prayed the court to refuse the application for stay of execution because the applicants have not shown any compelling reasons why the mandamus order must be stayed. The presiding judge, Justice Dorgu, after listening to the arguments, adjourned the matter to March 8, 2018 to rule on the application. The post Otiko Djaba ‘fights’ American couple over adopted baby appeared first on Ghana News .